5kg bags of Dolly Mixtures for sweet jars. Kegs of beer for that special product launch and cut price duct tape for when your husband complains about the state of your craft room. 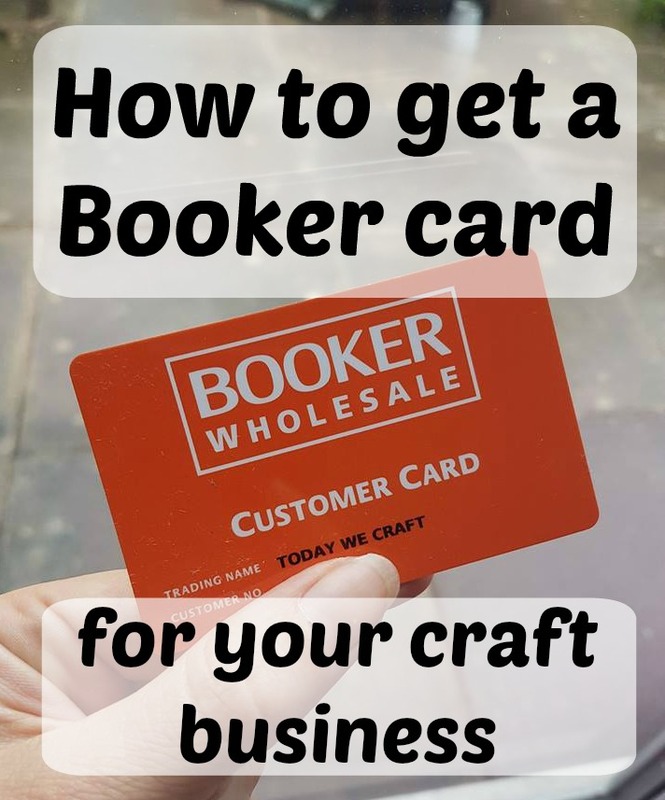 Whatever your crafting enterprise you probably want to get your hands on a Booker card. While seemingly elusive, obtaining a business account for the biggest wholesale retailer in the UK is quite straight forward. So who can apply for a Booker card? You can apply for an account if you own a UK based business. It doesn't matter if you are entirely based online or if its not full time. You don't even need to be trading yet. No. When you shop at Booker you will see two prices on the tags. The larger price (and cheaper one) is the price minus the VAT. The price you pay at the till will be the smaller price that includes VAT. If you are registered for VAT then the difference is what you will be able to claim back. Free. 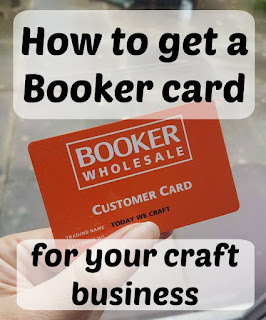 Some cash and carry stores charge you for becoming a member, but not Booker. How do I prove I own a business? After you apply for an account online you will be required to go into the store to receive your card. At this time you will need to provide two pieces of evidence that you run a UK business. These need to have the name of your business and your registered business address on them. I used an invoice from when I had some business cards made and a copy of my business insurance certificate. The first part of the process is done online. It just asks for things like what Kind of business you have (the closest I could find to my shop was "Retail"). You need to select your local branch and go from there. You can start your application by clicking HERE. Its that simple! Go forth and enjoy jumbo packs of loo roll and 10l bottles of Fairy washing up liquid!